Applications for 2019 have closed. First round offers from the Education Department will be issued in June 2018. Applications for Year 7s in 2020 will open in October 2018. Top Up Testing for 2020 (Year 9, 10 and 11 in 2019) will occur if vacancies are available. Alternatively, you can contact the Gifted and Talented Selection Unit by emailing gtsu@education.wa.edu.au. Please NOTE: Gifted and Talented Program students can also study up to two Specialist programs. If you are applying for the Gifted and Talented Program it is advised you also sit the Specialist Testing. They are two separate tests and students often wish to be enrolled in multiple programs. In choosing Melville Senior High School’s Gifted and Talented Selective Academic Program for your child, you will be joining a school community that is committed to ensuring your son or daughter is on a pathway to success at secondary school and beyond. 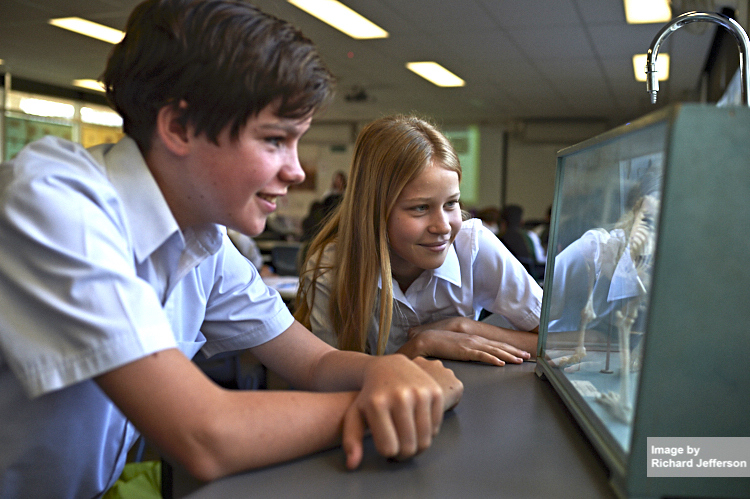 The Gifted and Talented Selective Academic Program offered at Melville SHS is an academic program where the selected students study Mathematics, Science, Humanities and English together as a unified group from Years 7-10. This model has proven to be successful in cultivating a culture of genuine teamwork, peer support, high-level motivation and encouragement among Melville SHS’s Gifted and Talented students. In Years 11 and 12 Melville SHS’s Gifted and Talented students join mainstream classes due to the range and diversity of subject selection offered to students. However, students continue to be supported through such programs through after-school tutoring and engagement with an array of university experiences. At Melville SHS, our Gifted and Talented Education Team understand the need to challenge students and look for ways to engage the gifted learner. A team approach is adopted in order to support your child’s learning requirements. Through dialogues with parents and professional colleagues, alternate pathways are sought and developed for the individual’s needs, and can consist of a combination of academic and practical pathways. This collaborative approach is used to offer challenging and engaging learning opportunities, including differential extension programs for individuals within the class, as deemed necessary. Students applying for Top Up Testing for other years (entering Years 9, 10 and 11) are required to be in the year level prior to the year level for which they are applying when they sit the Academic Selective Entrance Test. For example, a child in Year 8 can only sit the testing for entry to Year 9. Information is in the link above under Places for Year 9, 10 and 11 on the left. For further information, contact the Gifted and Talented Program Coordinator on 6274 1300.